Where Does Family Support Policy come from? What is the Desired Outcome of Family Support? Who is Available to Support Families? What Does Family Support Value in Practice? Who to Contact Regarding Family Support? The Administration on Developmental Disabilities (ADD) defines family support as a comprehensive and coordinated set of strategies that are designed to ensure that families who are assisting family members with disabilities have access to person-centered and family-centered resources, supports, services, and other assistance. These strategies are directed to the family unit but ultimately benefit the individual with the disability. In the not so distant past, families were encouraged to send their children with disabilities to institutional residential care where they could have all their basic needs taken care of. As families began to question the role of these residential institutions, many of them began to realize that, in order to be able to function, they would need some additional support. Family support policy accelerated in the 1970s with the movement to deinstitutionalize individuals with intellectual and developmental disabilities and calls from parents to provide support to help individuals live at home. It was more cost effective to support families where they lived rather than to rely on inefficient, large scale and complex congregate settings. In other words, for family support advocates, family support is the right thing to provide for families, and it is more cost effective than non-family residential arrangements. Ultimately, family support is designed to reunite, preserve, strengthen, and maintain families in their home communities, while making sure that the family members with disabilities have ample opportunities to exercise choice and self determination. Family support is provided by a number of different organizations that are usually supported at the federal level but are increasingly implemented at the state and local level. In the developmental disability world, family support was defined with policy recommendations in the Developmental Disabilities Assistance and Bill of Rights Act (the DD Act). However, family support policy from the DD Act is implemented at the state level. At the state level, state developmental disability agencies may provide funding and other services to support families of school age children. Support to families of people with autism spectrum disorders is not limited to DD-specific support, however. For example, family support may also be provided by state health and human service agencies, which include early intervention services and other parent support. Since autism spectrum disorders are considered developmental disabilities, support to their families is provided to them via these government agencies. Finally, “front line” support agencies also play a key role for families of newly diagnosed children with autism spectrum disorders. 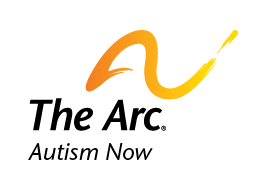 Examples of this type of agency include local chapters of The Arc and the United Way. These local agencies often are the gateway for families to get connected to vital supports. Family support programs tend to be diverse and driven by the needs of families at a local level. One of the more recent examples of initiatives to improve support of families of people with developmental disabilities was the Family Support 360 Projects of National Significance. The Federal Administration on Developmental Disabilities funded centers around the country to assist in the creation of “one-stop” centers for families of people with disabilities to get connected to resources they need in the community. The premise of these centers was that the needs of families of people with developmental disabilities are complex and diverse, but not always disability-specific. With this in mind, disability services are just one of many types of services that such families may need. Families could go to these centers and be connected with an array of different community-based services and programs. Due in part to the increasing life spans of people with disabilities, current trends in family support are taking an expanded, life-course perspective of family. For example, family support for a child with an autism spectrum disorder may support children with an ASD, their parents, siblings and other family members. In contrast, family support for adults with autism spectrum disorders – particularly in older age individuals – may be more likely to consist of people with an ASD, their siblings and/or other family or peer supporters. This reflects the idea that family structures are dynamic. Staff enhance families’ capacity to support the growth and development of all family members – adults, youth, and children. Generally speaking, organizations offering family support programs stick to the principles that the family is the most important population they serve. For more information on family support, see this policy brief on the subject. Find similar content about: Autism 101, Family And Relationships.